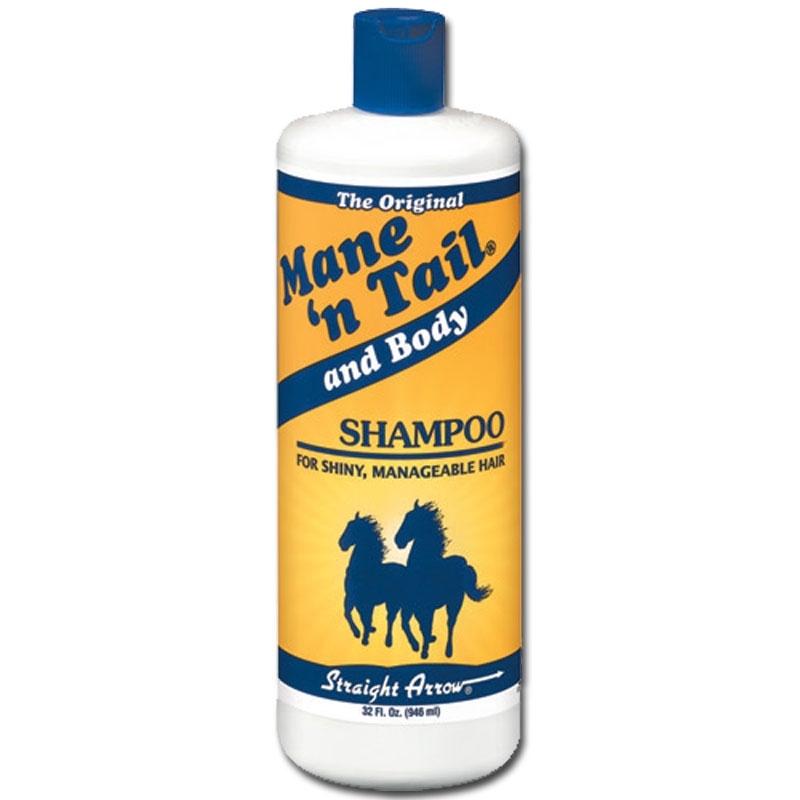 For Human Use: Wet hair and apply The Original Mane ‘n Tail Shampoo.The amount used will vary depending on the volume and length of hair.Work through hair with fingertips rinse thoroughly and follow with an application of The Original Mane ‘n Tail Conditioner. For Animal Use: Pre-wet the coat with clear water to remove excessive, loose dirt. Add a liberal amount of Mane ‘n Tail Shampoo into a bucket of water. Apply shampoo solution with a sponge and massage until a rich lather appears. Allow lather to remain on the hair for several minutes. Rinse until water runs clear. Towel dry. For best results: After shampooing, an application of conditioner is recommended. This shampoo is GREAT FOR THIN HAIR. It doesn’t weigh it down and hair feels more voluminous. It does cleanse well, maybe a little too well as it can leave your hair feeling stripped. It is a protein shampoo, so the “stripped” feeling doesn’t surprise me. The key is to NOT move your hair around or to move it as little as possible when this product is in your hair. Let the water you use to rinse your hair of the shampoo do all of the work for you. You’d expect this product to have a heavy scent but quite the contrary. It has a light scent. No need to use large amounts of it because it lathers extremely well. It’s definitely for all hair types. Whether you purchase the travel size, the 8 ounce bottle or the 32 ounce bottle, it’s affordable. This product lasts a long time. Always remember to follow up with a moisturizing conditioner or you could end up with some serious tangles. Overall, your hair will feel stronger and look shiner. This entry was posted in Road Test, Shampoo and tagged 2010, Mane 'n Tail Shampoo, protein shampoo, review, Road test, shampoo, shine, stronger hair, thin hair, volume. Bookmark the permalink.